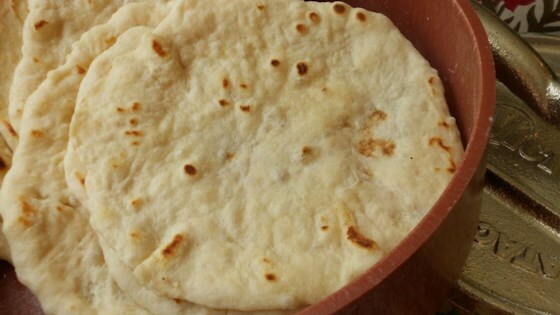 "Traditional flour tortillas - homemade and much better than store bought. Do not substitute vegetable oil or shortening for the lard." If you cant eat lard, you can insted use margarine, they taste the same. Yes, these are way better than the tortillas in a bag. However, if you separate them into 24 balls, like the recipes says, you get such small tortillas.